Our supplier Southern Milling has developed the 4 stage diet of; STARTER, GROWER, FINISHER, and WITHDRAWL, and has contributed to the high production standards of Weight for Age, and Food Conversion Efficiency. This is attributed to the quality of raw materials used, the experienced nutritionists, and the quality control in manufacture. Poultry feeds are produced with total tractability of all raw materials used, as is for all feed produced by Southern Milling. This tractability assures the consumer of Southern Milling’s responsibility in our contribution to the food chain and is verified with UFAS approval for feed manufacture. 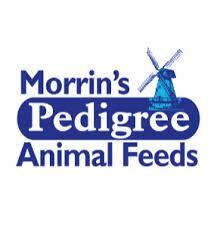 E. Morrin & Son, WCS Pedigree Feeds Ltd. stock organic poultry feeds, suitable for feeding on organic farms.